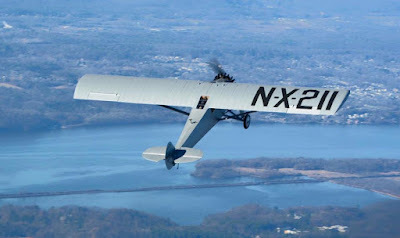 If you haven’t already heard, the Spirit of St. Louis Replica, at Old Rhinebeck Aerodrome, has flown. The project, spearheaded by Ken Cassens, lives up to its inspiration. 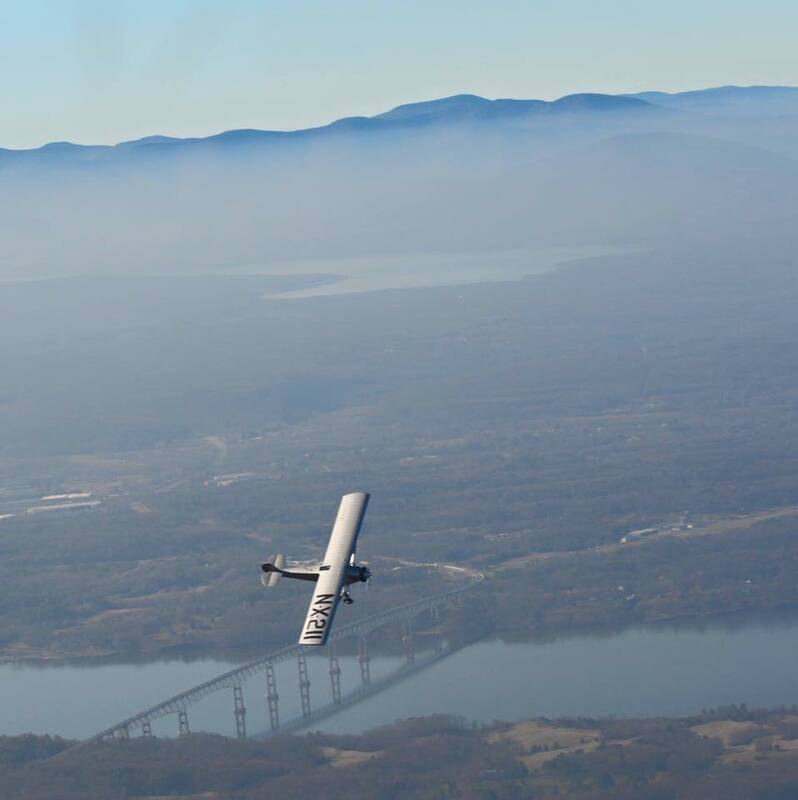 Hopefully, it will do for Rhinebeck what the original did for aviation. The long term project has spanned several decades, outlived a hostile takeover, and emerged during an overall decline in aviation. It all began in the 70’s when Cole Palen bought a batch of New Standard projects. Contained in the stash of old aircraft parts was a J-5 power plant. Those in the know say he felt this gave them what they needed to create a replica. He was right. 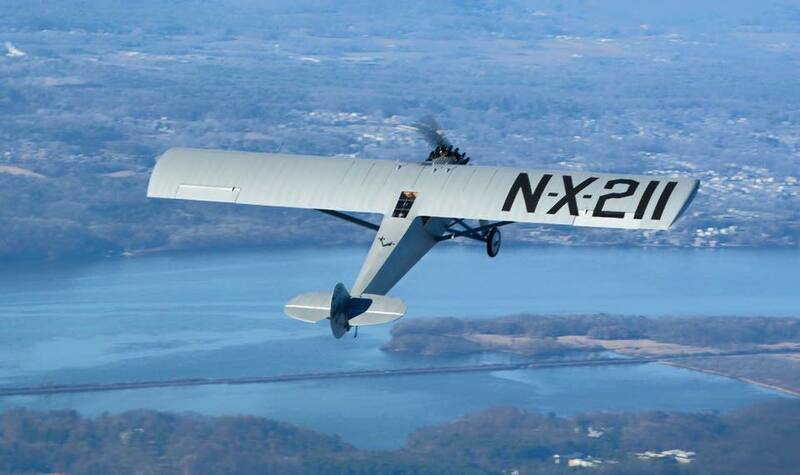 When the original NYP was built the J-5 was the key to its success. Everyone in the race knew it. The vast majority of aircraft registered with the Orteig Prize had the same Wright bolted to the front end. Since that day many have championed the pilot, aircraft design, numerology, and more. Ultimately though, it was the engine that drug man and machine across the pond. Americans love a hero. Lindbergh knew this. Today, thanks to much of what he recounted, he remains one of the most famous people ever to live. Unfortunately, as we learn more about the man and his story, we begin to see how much of it was true (or wasn’t). In time, this will likely focus more attention on the plane, the engine, and the people behind the scenes who made it all happen. I think that would be fitting. After all, these are the things that made Rhinebeck’s project a success. From Rhinebeck's Chief Pilot Clay Hammond - "I thought a recap of the day might be in order. Morning broke clear and calm, no wind, blue sky. Ken had finished last items on checklist to completion. No reason not to. Frost this morning, but forecast temps in the 50's by lunch hour. We pulled the Robin out about 11 and shot an hour's worth of landings with Ken in the back seat again and the cardboard blocking the forward view. After getting to the point where he felt a groove setting in we called it good and Ken decided to give it a go. Ken, Mike DiGiacomio, and I had a short discussion briefing the intended flight and Ken's intention to climb up overhead, circle for a short period, feel out the aircraft, and then return for the first landing. Crew pulled the NYP out and Ken climbed in. We commenced with starting procedure. Took three proppers and ten minutes to get it going, still figuring that out a little. Warmed it up for 15 minutes or so. Good sound, good temps using an infared thermometer, ready to go. Tim Haggerty and I climbed in the Robin to fly a high cover and to get some stand off photography. Launched in the Robin and started climbing for altitude. Five minutes later observed Ryan pull onto runway lane and start its roll. Ken climbed up to altitude promptly, around 3000 feet, we circled above him the whole time, making it a point to deconflict and also observe for other traffic. Tim was shooting with a nice long lens the entire time. Observed Ken do a couple stalls, steep turns, dutch rolls...feeling it out. He circled for a while longer and then started heading down. We in Robin descended in trail, staying off the right rear quarter. Ken made one low pass to shoot the approach at speed one time, and for the benefit of those on the ground, then came around for the landing. Stayed on his wing all the way around. NYP lined up on the runway, descended nicely down into the notch, rounded out just beyond the road and proceeded to float, and float, and floated some more. Touched down about even with the sausage factory. Rolled out and down the north end a ways. Mike D was down there to wing run and assist if needed. Circled around into pattern and landed the Robin. Shut down and walked over to Ken, who was cooling down the Whirlwind on the NYP. He said the stalls are extremely docile, no tendency to drop a wing, everything straight ahead and sets up into a steady and stable mush rather than any hard break. Better visibility than Robin, which is good! Means the Robin served as a good trainer, making the job harder than it was. Ken stated that on takeoff he noticed a great deal of nose heaviness, to the point that he subsequently inputted full aft trim and kept it there for entire flight, yet was still holding back pressure on the stick at all power settings. In calculating the weight and balance for the NYP on paper, everything had pointed towards a tail heavy situation, leading us to install a significant amount of lead ballast in the nose section just ahead of the firewall. After the flight Ken has decided to remove half of this weight to bring the aircraft into better trim. No adjustments necessary for roll or yaw tendencies. Additional test flights ahead to dial in the pitch. 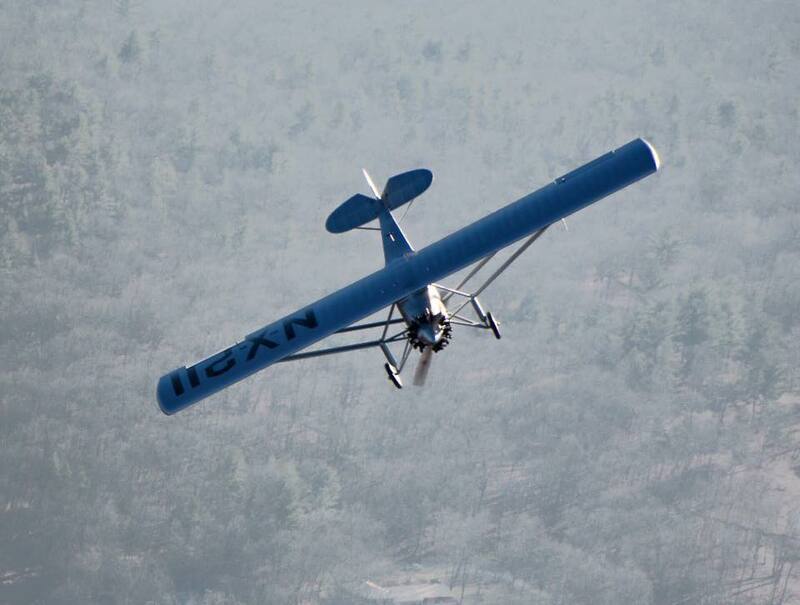 All in all Ken stated that it is a wonderful flying machine that he is very happy with!" The crew celebrating the occasion. How cool is that picture of the stall! Wonderful! Congratulations This has been a long project and I was doubting it would get finished a few years ago. 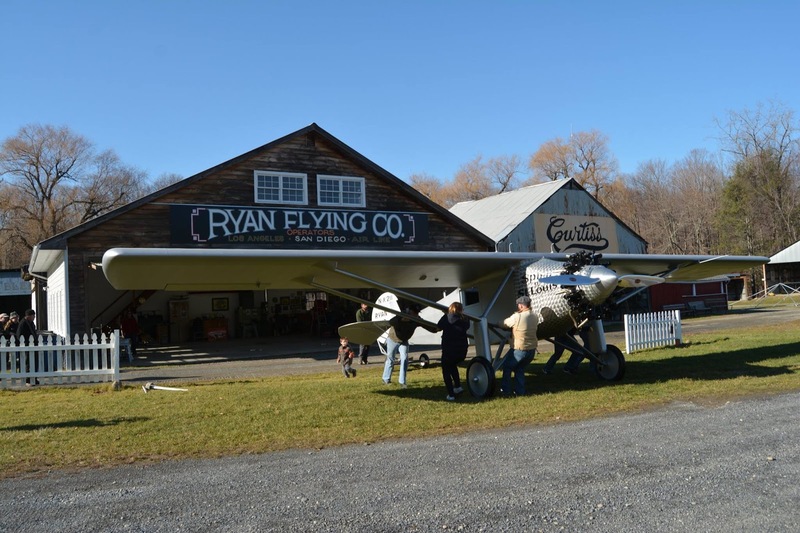 We have been going to the fall Mid Hudson RC Jamborees at the Aerodrome for many years and it has been great to see the turn around in Aerodrome shows and restoration activity the last few years. I don't know exactly what happened behind the scenes but it appears to be very good things. I look forward to seeing the Spirit in the air sometime next year. 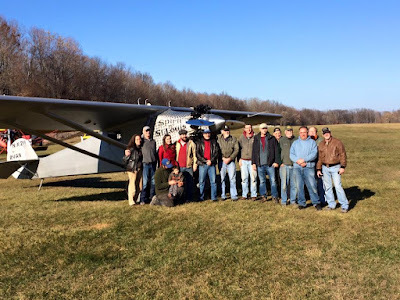 Interesting the flight report from Ken who is used handling airplanes of this vintage and older. All other Spirit replica reviews seem to stress how poorly the airplane handled. But this appears to be a much more accurate replica than others. If anyone from the Aerodrome reads this keep up the good work . Nice shots and great to read the write up. The wing does look big compared to those tail feathers. The original was 'unstable' so this one will likely also be less 'nice' with the CG moved back.